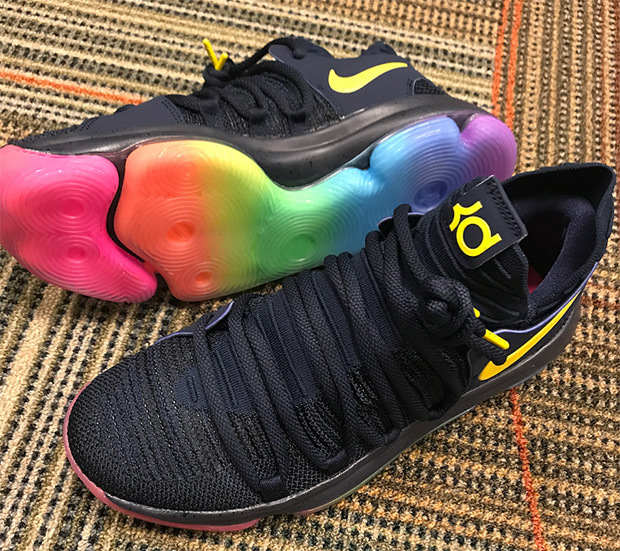 Nike’s 2016 BE TRUE collection released last week to much fanfare, but it appears that the Swoosh brand is keeping the celebration alive with more PE-style issues of other footwear. 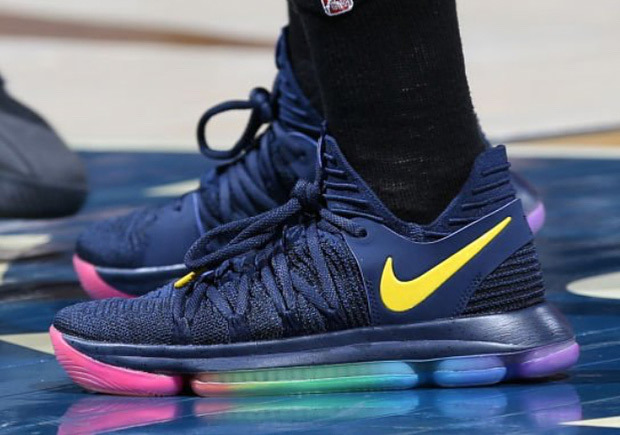 Seen here is Kevin Durant’s Nike KD 10 with a navy upper, yellow Swoosh, and the eight-color rainbow sole that represents the original 1978 pride flag. 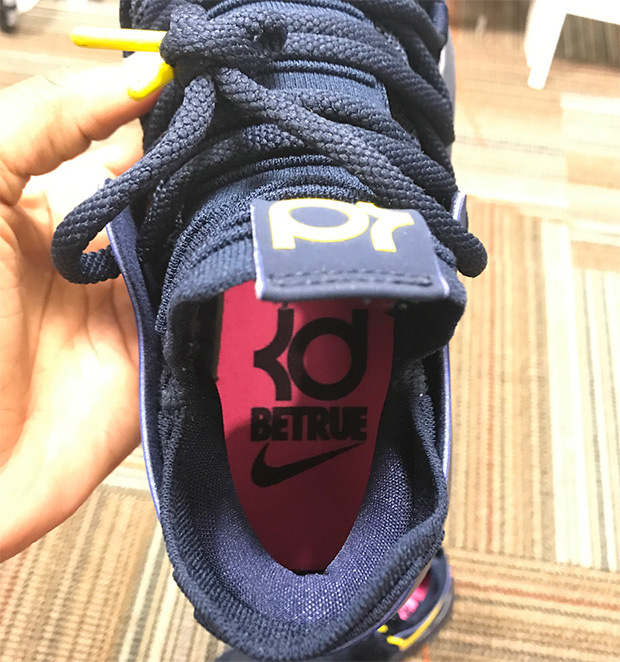 These were worn recently by Jonquel Jones of the WNBA’s Connecticut Sun, who further revealed the “BE TRUE” insoles and a closer shot of the outsole. A release hasn’t been confirmed, so peep the photos below for a better look.